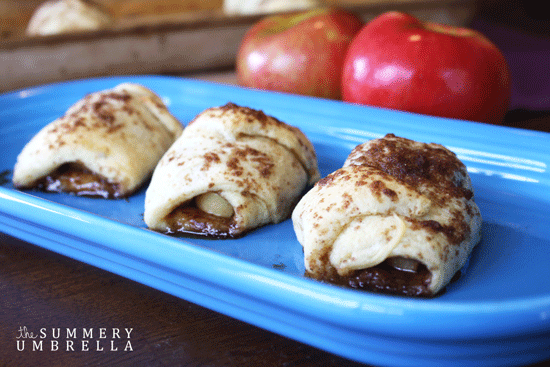 When you are in the mood for an apple pie, but don’t want the mess, whip up some apple pie crescent bites. I hope I find you well this week :) I just finished my spring break and I have to say it was a nice, restful week of visiting friends back home (in Indiana) and going to the beach here in South Carolina. 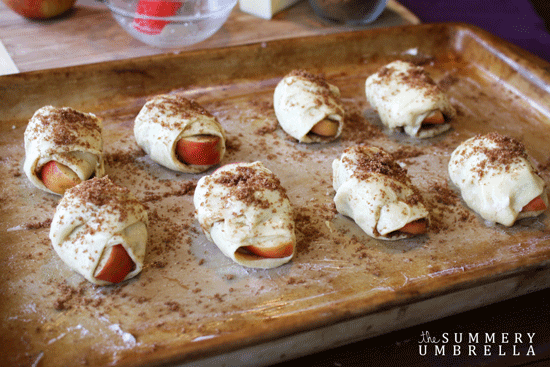 Also, I got to work on multiple recipes to share with you! I found the inspiration for this recipe on Pinterest, but the post originated from www.tablespoon.com. I don’t bake much, but this is SO EASY!!! 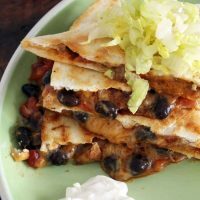 I LOVE being able to share simple, quick, scrumptious recipes with you that will make your taste buds dance! Here are the directions with step-by-step pictures. They are so easy to make, you’ll have the recipe memorized after the first batch. Always start by preheating your oven. Next, melt the butter. I do this in the microwave but you can do it on the stovetop too. 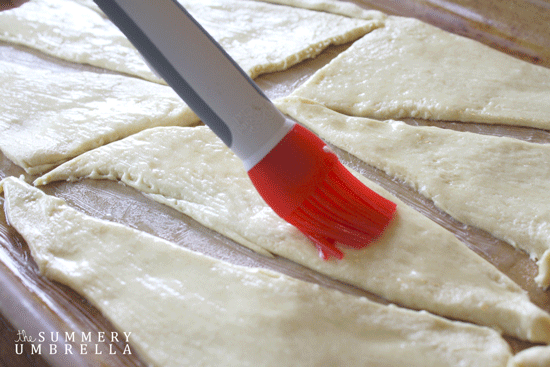 Roll out the crescent roll onto a baking sheet. I used a pizza cutter to cut the crescent roll into 8 pieces. Brush some butter onto each piece. Next, mix together the brown sugar and cinnamon. You can add white sugar too if you want. 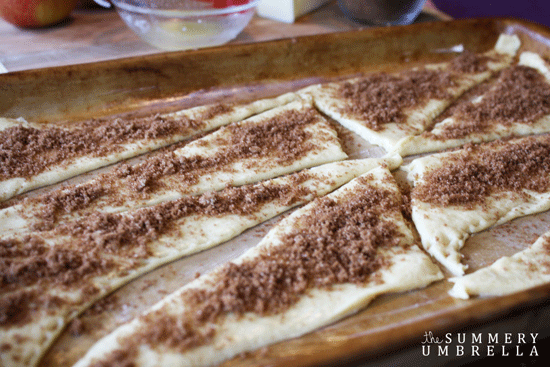 Sprinkle the mixture onto each piece of crescent roll. I used a lot, as you can see below. 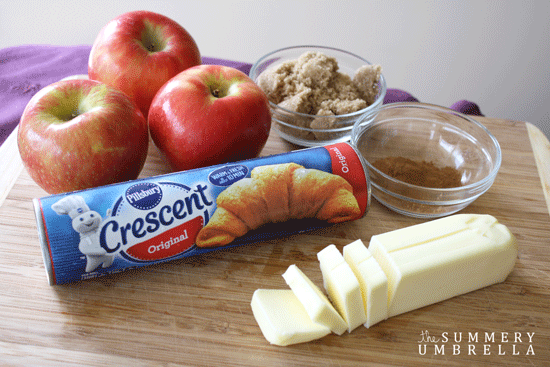 You need 8 pieces of apple (should be 1 apple) for each can of crescent rolls. 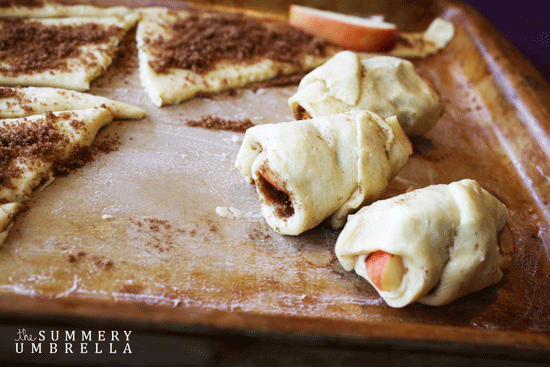 Lay a slice of apple at the small end of the roll and start rolling it up. Just press it together, it’s sticky so it works nicely. The first few I did were not very pretty, but it doesn’t matter! Last, brush some more butter on the top of each Apple Pie Crescent Bite and sprinkle with more brown sugar and cinnamon mixture. Bake at 350 degrees for approximately 15 minutes. I ended up putting mine back in the oven for an extra 2 minutes. 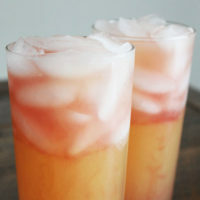 If you decide to try this recipe, let me know how much you like it! Enjoy!! 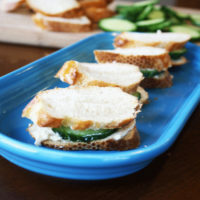 Then you’ll definitely want to try out this apple gorgonzola crostini recipe. Yummy! LOL! You and your tart apples! LOL! These look so good, I have to figure out how to make a dough that would be gluten free, I used to cook so much with crescent rolls. I loved coming up with new combinations, cream cheese, dill and smoked salmon, or chicken, peaches, pecans and brie, or pizza filled. Crescent rolls are the perfect food! BTW, where in Indiana? I am in Fort Wayne????? I am from New Castle, small town East of Indianapolis, but my boyfriend is from Huntington, which is close to Ft. Wayne! Small world! It’s ok, you’re my first stalker, I like it :) LOL!!! I will be visiting Indiana this summer, I would love to meet you as well! LZ and I are going to the Haven blog conference this summer too, you should come!